"Flowers of the Day*" boast a balanced texture w/ an inspiring vibrancy to create an uplifting first impression. *Specific flowers will vary. Includes a complimentary handwritten card. Made with love. Orders must be placed AND approved by 11:00am to qualify for next day delivery. Upgrade/customizable options available upon request w/ 48 hours advanced notice. "Flowers of the Day" standard size arrangement, includes delivery to your hotel's concierge. only applicable for custom designs w/48 hour notice. 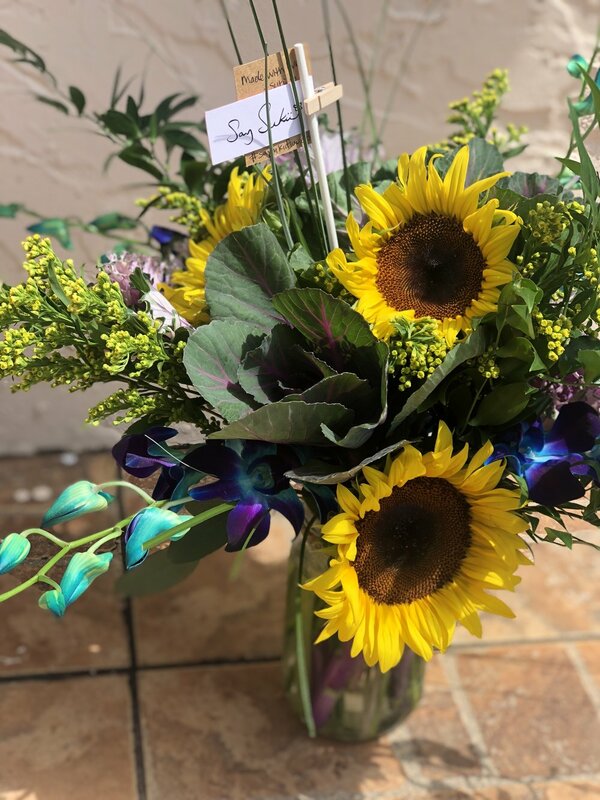 Thank you for your interest in Say Sukii Flowers! We will get back to you within the next 24 hours to approve your order and send your invoice for payment.